This is a play that presents a new Narasimh Mehta, as also the timeless one, the “Adi Kavi’. 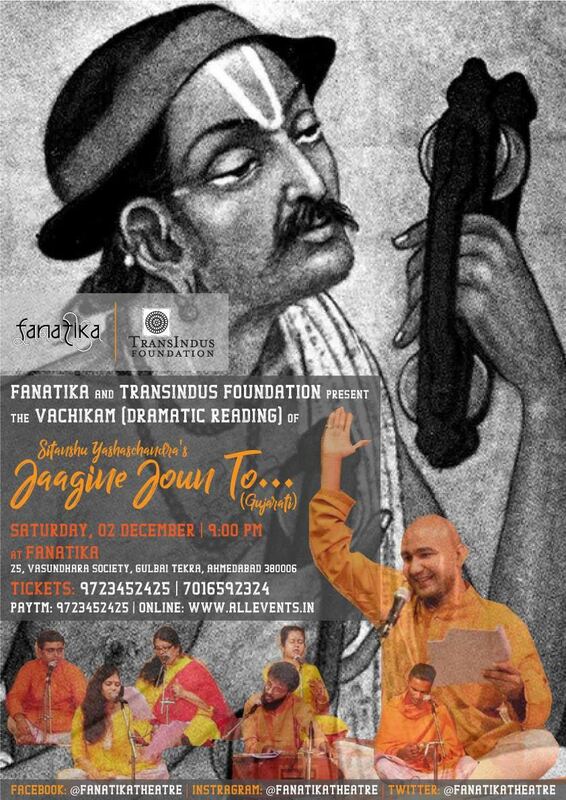 Written by Sitanshu Yashaschandra, this verse play is a tribute that modernity pays to its origins. Presented in two acts, the play enquires into the poems and the personality of a great poet, rebel and lover. The Lover Narsimh: To love God has never been easy. The play brings out ecstasy and agony of it all. Narasimh’s superb and eternal pada-poems of love blend gently with Sitanshu’s affectionate and ironic narrative, written throughout in Jhulanaa Chhand (a meter dear to Narasimh), and variations in its panch-kala maatra. Young actors, trained in classical and sugam Indian music sing it all live on the stage. The Rebel Narsimh: To rebel against a rigid culture is equally hard. Narsimh lived his life dangerously, taking on hostile forces of family, society, religion, economy and the State. Through creative hermeneutics, the playwright interprets each ‘Kasoti’/test in the poet’s life: hundi, haar, maameru and so on. The Poet Narasimh: Matchless in Gujarat, amongst the immortals in India, an equal to any in World literature. The play presents the intense beauty of his poems, its texts and contexts, sung and enacted alive on the stage.